From fraternity brothers to franchisees: How Chad Arnold and Mark Snyir secured an entire California territory | Franchising You. After becoming brothers in Sigma Chi Fraternity at Indiana University of Pennsylvania, Mark Snyir and Chad Arnold evolved their friendship into a business partnership. Chad began at TWO MEN AND A TRUCK® after coming across a general manager position in Detroit, Mich. Within a year and a half, at the age of 25, Chad purchased the location from the current chair of the company, Melanie Bergeron, and her husband, Noel. “The opportunity came as a transitional plan; I didn’t realize the opportunity the company held. When I learned about the ownership opportunity, I could not pass on carving out a future career with such a great company,” Chad explained. 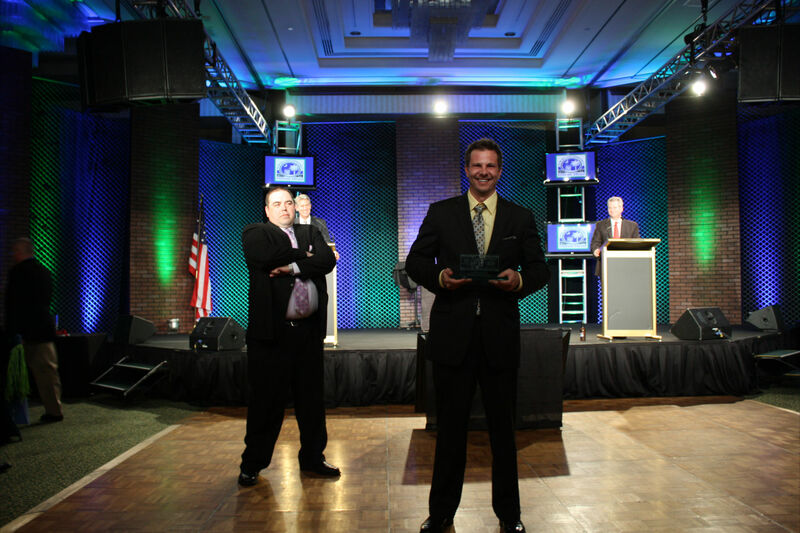 Chad and Mark receive the 2 Million Dollar Award for Sacramento at the TWO MEN AND A TRUCK® Annual Meeting. In 2001, Chad recruited Mark to move from Las Vegas to the Midwest and become a general manager of his newly acquired TWO MEN AND A TRUCK® location. In May of 2004, Mark was hired by a TWO MEN AND A TRUCK® location in Atlanta, where he stayed on as an operations manager for four months. At the same time, Chad was offered the role of first California franchisee for TWO MEN AND A TRUCK®. Chad then sold his Detroit location and he and Mark set out to build the West Coast team with no plans of slowing down. Two new locations are set to open in February and October 2016, as well as moving into a recently purchased 15,000 square foot building in March 2016 which will introduce a new training center. By the end of 2016, they will have four franchises securing them the entire Sacramento territory. 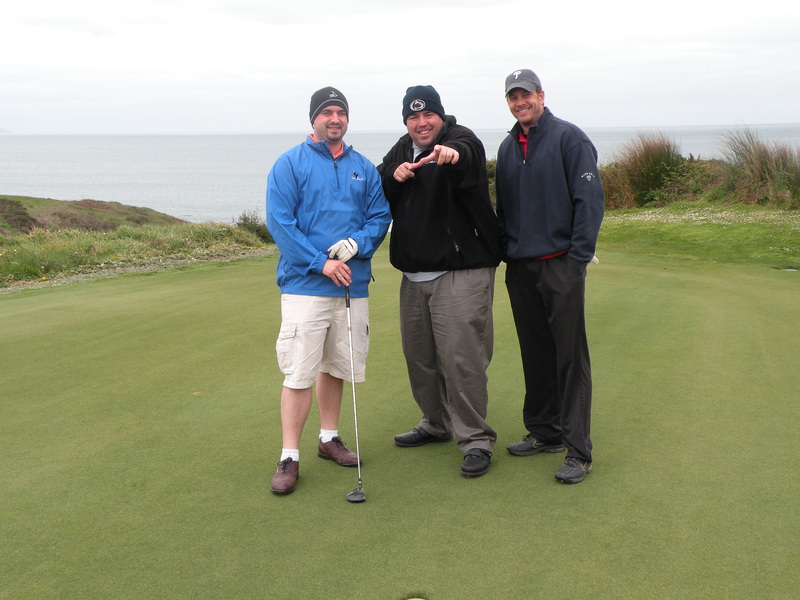 Chad, Mark, and Indianapolis Franchisee Drew Werling spend time golfing during their 2008 vacation to San Francisco. While devoting their energy into becoming successful multi-unit franchisees, focusing on the community in which they work and live remained extremely important to them. Growing up, both Chad and Mark were always involved in the community doing everything from performing plays at senior facilities to raising money in college for a camp that benefited children with physical disabilities. They have continued to give back through various charitable efforts both as business owners and leaders within their community. The friends strive to continue growing professionally by learning from others within the system and performing at the high standard they feel is expected from their humble upbringings. “Growing those professional bonds with like-minded people helps to develop and strengthen personal relationships with them. This is usually one of the lesser mentioned perks about being a part in the TWO MEN AND A TRUCK® system,” said Mark. Visit twomenandatruckfranchising.com to learn more about franchising opportunities. TWO MEN AND A TRUCK® is the first and largest franchised moving company in the United States. Let us move your career forward. Consider investing in us and becoming a franchisee today! Pingback: Expanding the TWO MEN AND A TRUCK® brand on the West Coast | Franchising You. Pingback: Business partners: Who can make or break your start-up | Franchising You. Pingback: Kicking off the year with TWO MEN AND A TRUCK® franchisee resolutions | Franchising You.